31st Jan 2015 marks my four year completion of Blogging. These four years have given me a life which added life to life. I am thankful to my family, friends and my viewers who have constantly motivated me. Doesn't this call for a celebration? Well I have organized a small event to celebrate. The event is open to bloggers as well as non bloggers. And yes there are some Giveaways too. This event will be hosted on Ribbons to Pasta's FB page. 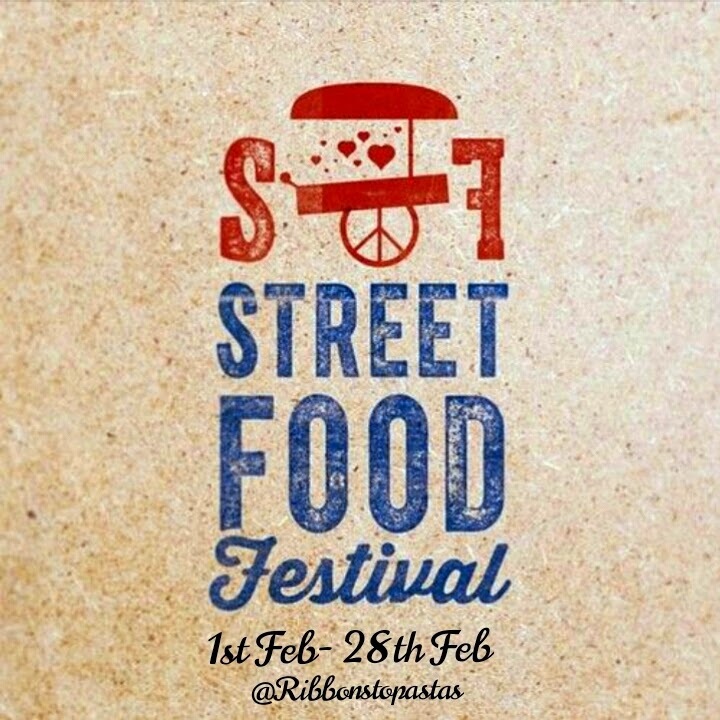 The theme for the event is "Street Food"
I will be accepting only fresh and Original entries, so please do not send from your archives. It is a vegetarian site and I expect only vegetarian food pictures please. Bloggers as well non bloggers can participate. All you need to participate is to click on the "Like" button and send your picture of a street Food. You can submit one picture choosing your category where you could cook a street food and click. Bloggers can post their entries on their blog along with the recipe. Logo will help to spread a word around. Actually go on the streets to click the street vendors. Please name the place and state, country where the picture has been taken, along with the name of the street food. I have four giveaways for the participants two for each category. Two giveaways for Indian residents and two for overseas friends. The giveaway is beautifully photographed recipe book on street food. There are no sponsors for the giveaway and each category has the same book. The pictures will be judged by the famous photographer Vinay Panjwani. Vinay Panjwani is a documentary photographer from Ahmadabad and his work has been exhibited in Venice, New York besides Indian states. He was featured by the National Geographic Channel in 2013 as a part of Mission covershot . The winners will be judged on the composition of the pictures. The judge's decision would be final. The results will be announced in the first week of March. If any doubts you can leave a comment in the comment section or FB page.